Managing the sales process in MYOB is easy. You can issue quotations, receive orders as well as invoice to your customers. Quotations and Orders are optional, i.e. you do not have to use them if you do not wish to. 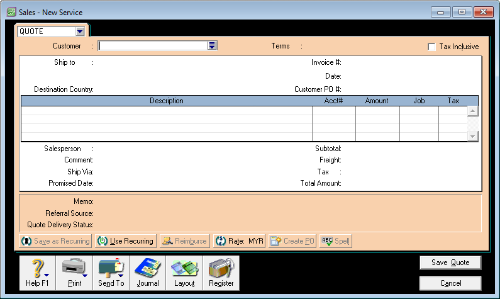 In the next screen, you will be able to select whether you wish to issue a Quotation, enter an Order or Invoice. At the top left of the screen, click on the selection list to change the type of transaction you are creating. For each type you choose, the screen changes colour so you know which screen you are on, and the type of transaction you are entering. 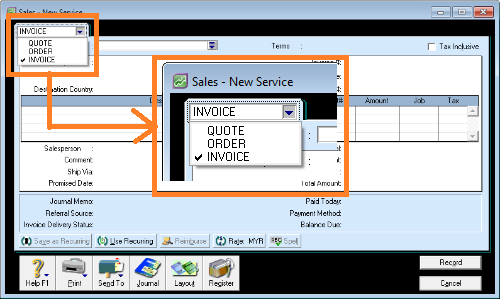 Sales Quotations in MYOB are optional. You do not have to create a quote first before you create an invoice. Also, Quotations do not have any effect on accounts, i.e. 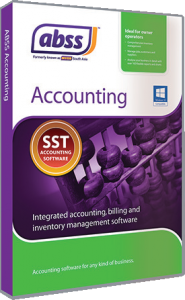 there is no accounting double entry when you create a quote for your customer. It’s just a memo or record of the quote you send to customers so you can refer to it when needed. Once you have created a quote, you can easily convert it to an Order or directly to an Invoice when a customer confirms, without having to re-enter the details. Just open the quote you created, and click on the relevant button at the bottom and MYOB will create the Order or Invoice for you with all the details from the Quote. Even better, you can create a PO to your supplier from the quote if you do not have sufficient stock quantities on hand. Sales Orders are also optional. You do not need to use them if you do not wish to. These also have no effect on accounts. No accounting double entry is created when you enter a Sales Order. Sales Order does create a memo so it is helpful to know what customers have ordered and what you need to deliver or fulfill. The Sales invoice has an effect on accounts. 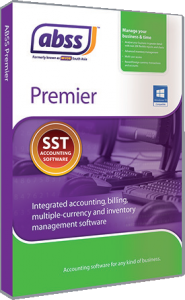 When you record an invoice to a customer, MYOB automatically creates the necessary accounting entries in the General Ledger.